In Washington, an 18-year-old can buy a military style assault weapon with no background check or waiting period. 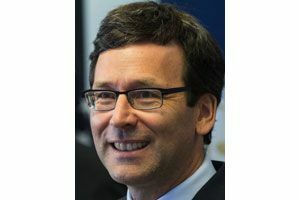 Attorney General Bob Ferguson urges lawmakers to take a vote on a bill to add reasonable restrictions. 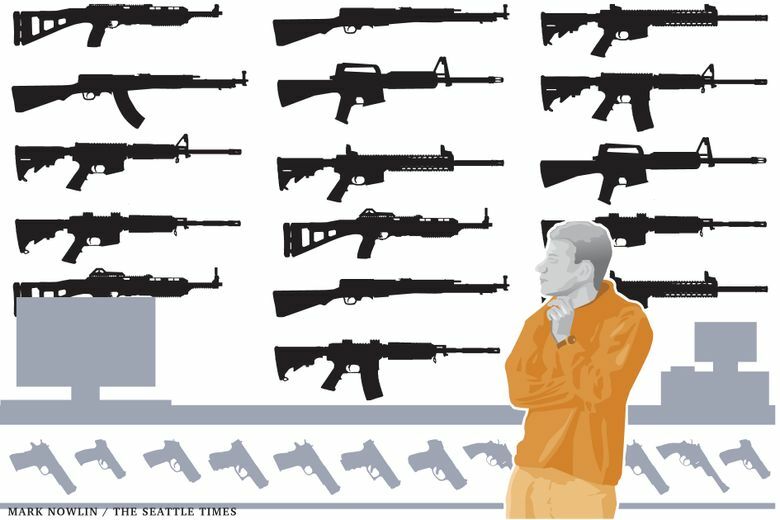 In Washington state, just like Florida, it’s easier to buy an AR-15 than a handgun. Here, you must be 21 years old to purchase a handgun. In addition, the law requires a waiting period of up to 10 days for local law enforcement to complete an enhanced background check that includes mental health records. In contrast, you only have to be 18 years old to buy an assault weapon. No waiting period. No enhanced background check. Consequently, an 18-year-old can walk into a Cabela’s and walk out minutes later with an AR-15. Unfortunately, the state Legislature’s unwillingness to rectify this problem is putting our children in danger. In 2016, a 19-year-old legally purchased an AR-15 assault weapon with a high-capacity magazine at a local Cabela’s. Days later, he walked into a Mukilteo party attended by his former classmates and opened fire, killing three and seriously wounding another. In Washington state, these teenagers could not legally purchase a handgun. Incredibly, however, state law allowed them to purchase military-style assault weapons. For the past two legislative sessions, I have proposed Senate Bill 5444 and House Bill 1387, which extend the restrictions we currently place on handgun purchases to assault weapons. Those include enhanced background checks by local law enforcement, a waiting period of up to 10 days, and a requirement that the purchaser be at least 21 years of age. Unfortunately, the bill is not moving. Let’s put this in context. Other states ban the sale of assault weapons. Not Washington. Other states limit high-capacity magazines to 10 rounds. Washington state has no limits on high-capacity magazines. The constitutionality of these laws is not in dispute. Our federal courts repeatedly uphold them. I’ve proposed legislation addressing both of these issues. Those proposals have gone nowhere. I will propose them again next year, but it is hard to be optimistic. Given this context, treating the purchase of military-style assault weapons like handguns is literally the very least the Legislature can do to protect our kids from school shootings perpetrated by individuals with military-style assault weapons. The Washington Legislature must hold a vote on SB 5444. The public deserves to know where all 49 state senators and 98 state representatives stand on this issue. Lawmakers may claim this bill and its House companion are dead because they failed to clear a procedural hurdle. Not true. The Legislature can designate bills with fiscal impact “NTIB” (Necessary to Implement the Budget), or “exempt from cut-off.” They can do this for SB 5444, which sits in the Senate Budget Committee, and for its House companion. Take the vote. I am confident the majority of legislators will find the political will to change our illogical and dangerous system that makes it much easier for a teen to buy an assault weapon than a handgun. What happened in Parkland, Florida, can happen here, just as it did in Mukilteo, and almost did in Everett. Legislators need to think about the next school shooting in our state. The families of the innocent victims will demand to know why the Legislature refused to adopt this simple, common-sense step to help keep assault weapons out of the hands of teens and dangerous individuals. The Legislature needs to vote — now. Bob Ferguson is the state Attorney General.